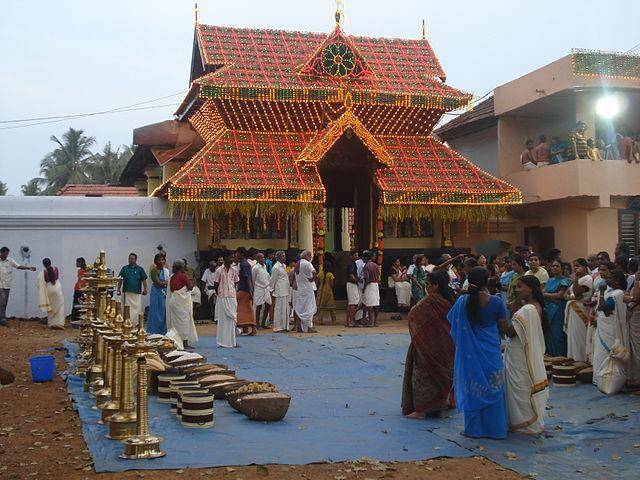 Aarattupuzha, the tiny hamlet is known for its Ayyappan Temple and Aarattupuzha Pooram. The Ayyappan Temple located on the banks of Karuvannur River is 3000 years old age. The Pooram festival celebrated here is termed as “Grand- daddy for all Poorams”. Nearly 61 elephants participate in this festival. As per Hindu Mythology 101 Gods and Goddesses meet in this place before the place was flooded by river. Also 23 God and Goddess's idols from all over Kerala take part in the Pooram festival which takes place in month of March.